If you didn’t already know the GDPR deadline is around the corner (25th May 2018) and it will more than likely affect you. So, what is GDPR? How will it affect me? What do I need to do? Fear not, we will explain all. Firstly, think about your mobile phone. What kind of information do you store on your phone? Do you have business, customer, and/or employee information on your phone? If the answer is yes to any of these you need to know about GDPR. Failing to comply with the new regulations could result in huge fines, more on this later. Below we take a look at GDPR, how it will affect your business and how VIP can help you and your business stay compliant. 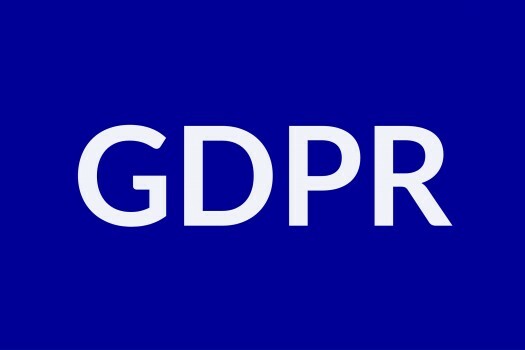 GDPR or the General Data Protection Regulation is a ruling intended to protect the data of EU citizens and provide a level of control over their personal data. Who is affect by the GDPR? The GDPR affects all EU citizens and business who operate in the EU regardless of physical location. This means if your business provides services, goods or holds personal data of EU citizens you can be held accountable under the GDPR. The GDPR specifies the entities that will be impacted by the GDPR however the wording specifically includes data processors ad data controllers. You are still subject to penalties for information misuse if the information is stored in the cloud or in separate physical locations if the information concerns EU citizens. The GDPR covers all information that is personal, personal being information that can be used to determine identity. Going back to our earlier thought, what kind of information do you keep on your mobile phone? What is the penalty for not complying with the GDPR? Businesses failing to comply after May 2018 can face fines of up to 4% of global turnover or 20 million Euro, whichever is larger. The fines are based on the nature of the incident. “But after Brexit this wont effect the UK”. Wrong! UK companies are being advised to ensure they comply with the GDPR. Although after Brexit UK businesses may not be affected by GDPR the UK Government has indicated it will be implementing an equivalent or alternative legal mechanism. At VIP we already have strict data collection and processing regulations due to the nature of our business. We are working with our existing clients to ensure they are ready for the May deadline too. We offer and range of tariffs and products which conform to the GDPR and are more than happy to assist and provide advice where possible. If you have any further GDPR questions feel free to call VIP on 01482 346346 or send our friendly team and email on info@vipcommunications.co.uk today.